The first day. 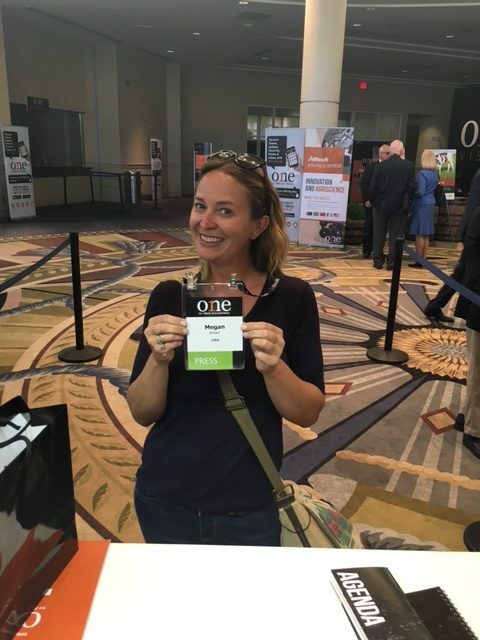 I was very excited to have an opportunity to attend this conference and I think everyone knew it. I had never been to an Alltech convention before this. I, of course, was familiar with them because of their products and I see booths and such at other conventions and events. But I had no idea what I was in for when I packed up my favorite cowboy boots and left the ranch on a red eye flight to Lexington, Kentucky. This two part blog will cover what I experienced during this convention. Because I had a press pass I got a point of view most do not get. For a girl that doesn’t get off the ranch much, it was quite the experience. Rupp Arena from the stage. I’ve been to hundreds of agriculture related events in my lifetime. 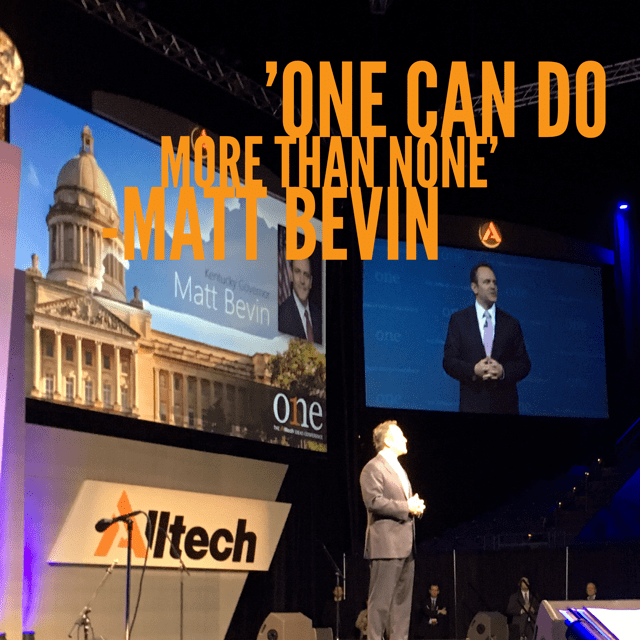 I have never experienced a convention like ONE: The Alltech Ideas Conference. Ever. It is a stand alone conference. It was a cross between a Broadway show, a graduate class, a college agriculture party, a field day, and a team building retreat. 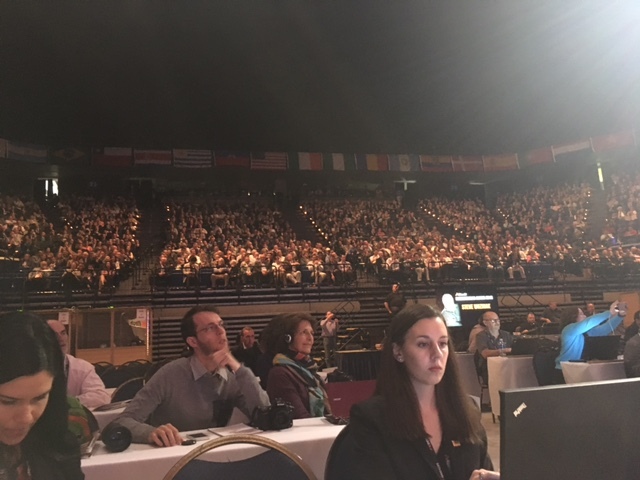 Over 3,000 people from 71 countries were in attendance. If you are involved in agriculture or food, or even if you have an interest in agriculture, this is an event you need to attend next year. Part of what made this conference so unique was the fact it was deeply entertaining. It included keynote speakers that were not from agriculture, which brought a whole new perspective and vibe. The Governor of Kentucky, Matt Bevin, welcomed us the first day. 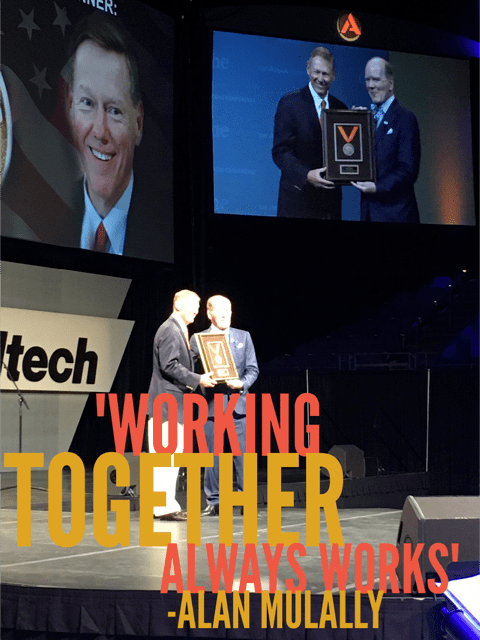 Alan Mulally of Ford, received the Alltech Medal of Excellence Award and gave us some excellent leadership advice, “working together always works”. John Calipari, the Head Coach of the University of Kentucky Men’s Basketball Team, spoke next. I’m going to make a confession here, and I don’t want you to judge me too harshly. Before this event I had no clue who “Coach Cal” was, however now I’m ordering his book. I loved his outlook on life, “when you make life about other people, it becomes easy”. Listening to him speak about how he was able to practice what he preaches and make life better for his players and community made me ponder how I could do the same. This morning plenary left me excited and inspired, deeply stimulated and ready to learn and affect change! Perfectly primed for the in-depth and new knowledge industry experts shared with us in special sessions. Selecting the special sessions I wanted to attend was the worst part of the conference. I had a hard time choosing because many were both interesting and relevant to me. 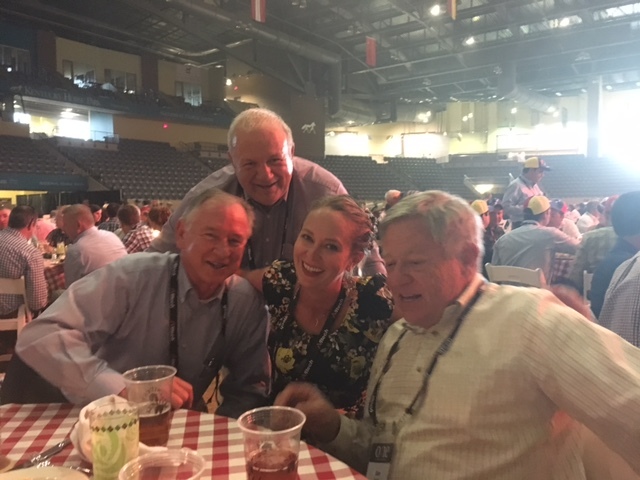 I ended up seeing part of Global Beef Opportunities, The Business of Agriculture and Opportunities in the Pig Industry. I would have loved to have attended Craft Brewing and Distilling because that’s something I’d like to start doing. The Aquaculture session, especially after last summer’s experiences, and Emerging Markets and Trends and Innovative Agriscience because I love to be on the cutting edge of new ideas. Alltech made sure to showcase the best Lexington had to offer. 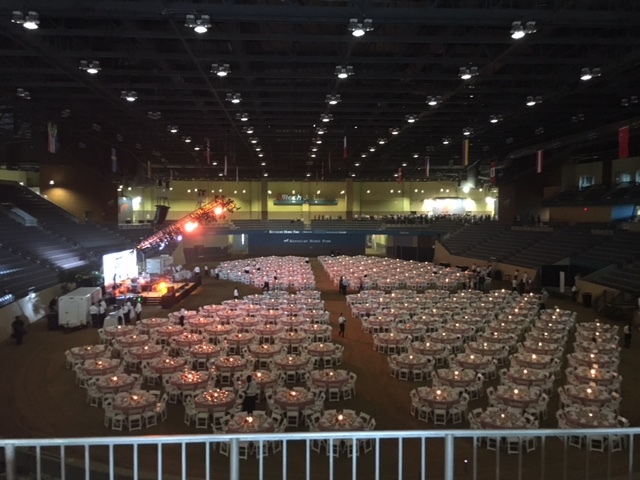 Having dinner in the arena of The Kentucky Horse Park was probably an once in a lifetime experience for me. The arena set up for our dinner. It was beautiful! 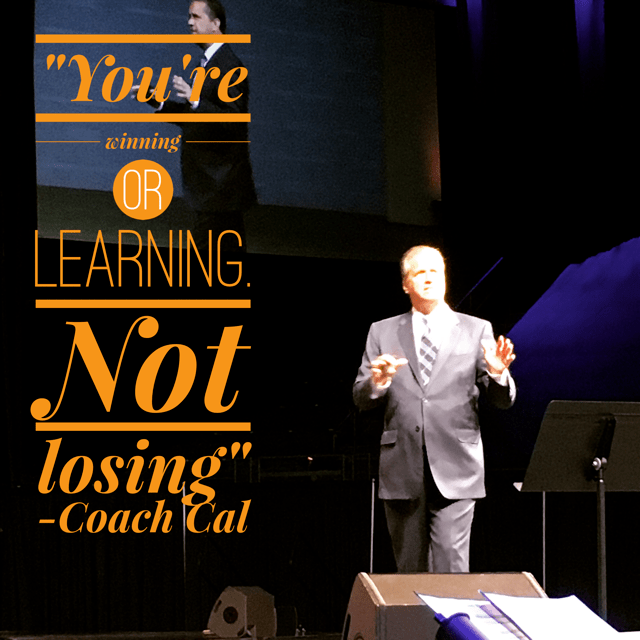 However, the sessions I did attend were perfect for me and what I need to know right now. I started in the Beef session sitting next to a real, live meat scientist. If I had questions about something I could simply lean over and ask her to clarify. It was glorious. I left the session feeling deeply validated about the methods we are using on our Ranch and eager to learn more about how nutrigenomics will continue to play a part. I then transitioned into the The Business of Agriculture session where I was able to hear Mary Shelman’s session about food rules (there are no food rules!). We learned about brands like Ben and Jerry’s and Emerald, that broke the “food rules” and became very successful. She spoke about how “food is a hot thing to talk about”. 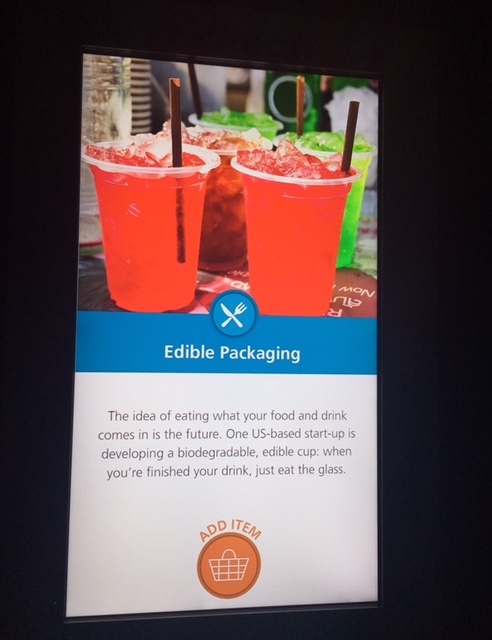 Food trends amongst our younger generations are changing, they are rejecting big ag and big food, they want a product that is good for the environment and communities and are willing to pay more. They trust their friends more than advertisements. Something I repeat often. Local doesn’t always mean safer. Dr. Johanna Fink-Gremmels took the stage. She covered soils, fungi, bacteria and how they play a part in health. She shared “gut health is the key to animal health and productivity” and “feed the soil and you will feed the world”. She stressed that we have a major responsibility to our partners, our environment and animals, for the benefit of the people. This is advice I have been trying to implement for my ranch. 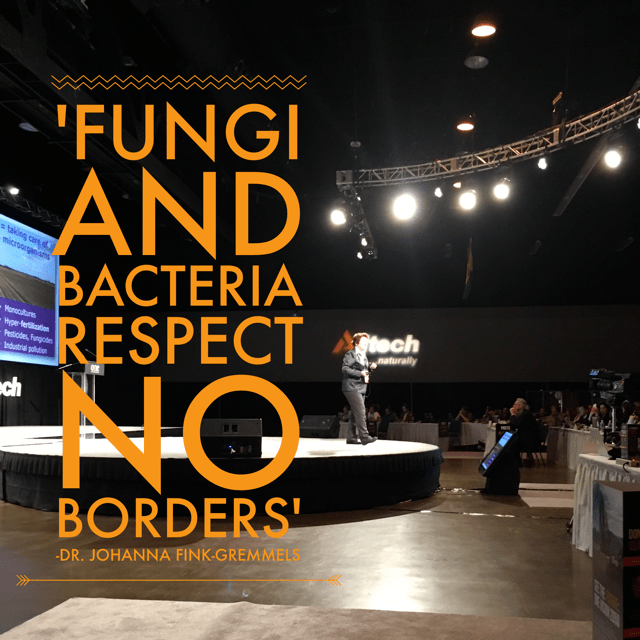 Aidan Connolly, Chief Innovation Officer and Vice President, Corporate Accounts, Alltech then spoke on antibiotics. This is a hot topic that I see many people, both in agriculture and on the consumer side, talk about often. He said the “U.S. estimates 506 antibiotic prescriptions per 1000 people annually when only 353 were necessary”. That is some serious food for thought. He had a term and idea that I loved and I see working for me. 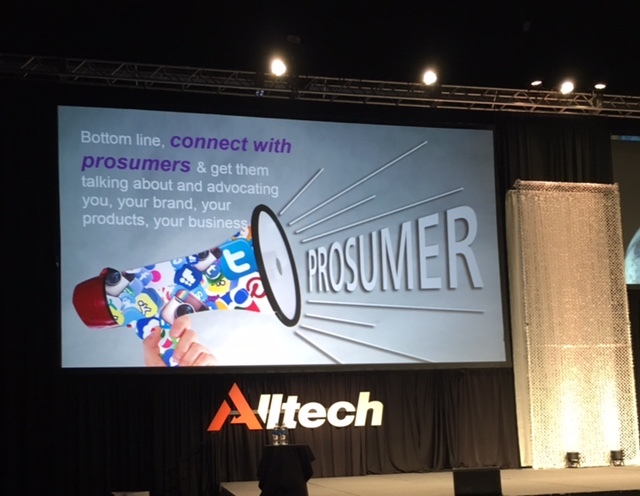 Prosumer – the idea of connecting with our consumer and getting them to advocate for you and your brand, business and product. As Ms. Shelman pointed out earlier, our younger consumers want this. 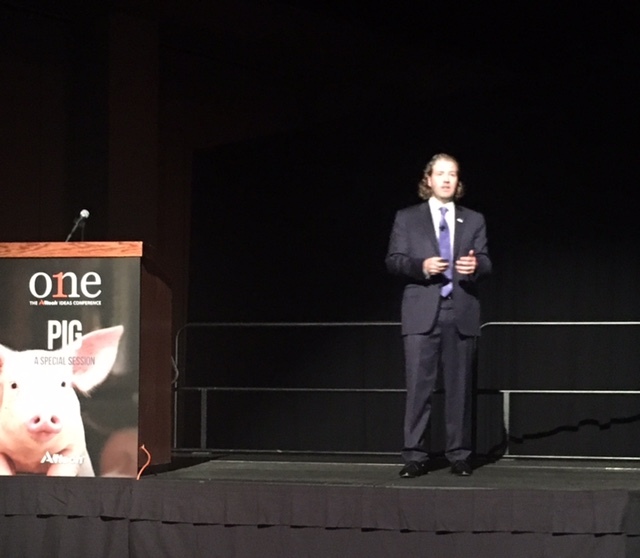 Because I still have much to learn about hog production, especially commercial production, I was especially excited to attend the Opportunities in the Pig Industry Special Session. Russell Gilliam started the session with Disease Prevention and Eradication. He pointed out, “is it safe” is the number one priority to consumers. He then covered factors that contribute to poor animal health and how we can prevent them. Lance Barton of Belstra Mills then shared his ideas and experiences about engaging the 98% that are not involved with production agriculture. Jacob Dall and Dr. Mark Lyons then shared information about hog production from Denmark and China. Comparing pork production methods from the two counties was enlightening and I am going to be applying some of my new knowledge to my operation. 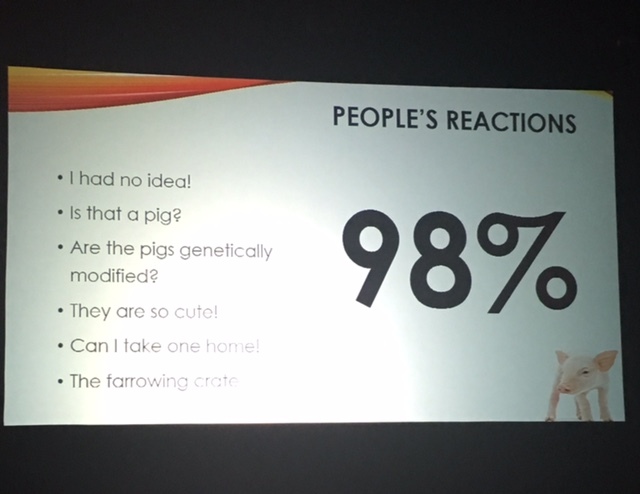 People’s reaction to a hog farm. From Lance Barton. 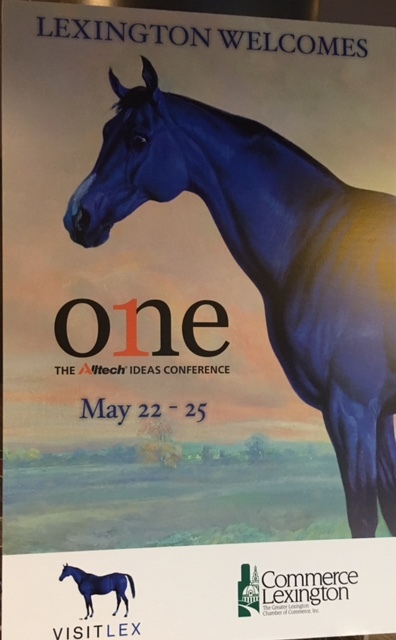 I finally had time to visit Alltech’s One Vision exhibit. Again, before this point, I have never experienced anything like this. It was interactive, innovative and inspired. It felt like an utopia of what our world could be. Allergy free peanuts, edible food packaging and lab grown meat were all ideas explored. So often we are bombarded with negativity and worst case scenarios. This was like a breath of fresh air, it was positive and hopeful and I walked out I was asking myself what was the ONE thing I could do in order to be apart of a solution. We need more exhibits and interactions like this. Photos of the ONE exhibit does not do it justice. You need to experience it.